Located right in the center of the village, the Casa das Vizinhas testifies to the importance of the neighborly relations and the community spirit that were once the foundation of these remote mountain villages. 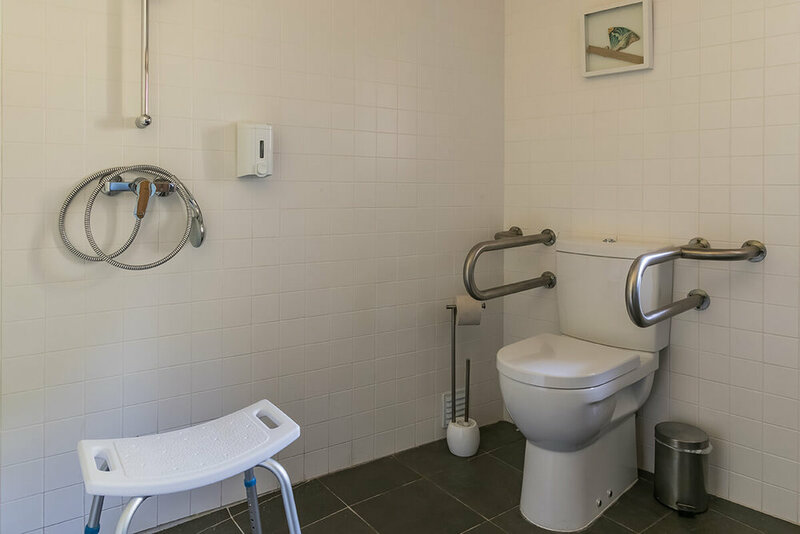 With an adapted bathroom and no obstacles on the ground floor, which also includes a kitchen, a dining table, and a living area with a sofa bed, an armchair and a traditional wood burner, this house has been planned to satisfy the needs of all those with reduced mobility. The «vizinhas» in this house, sculpted by artist Kerstin Thomas, keep you company! 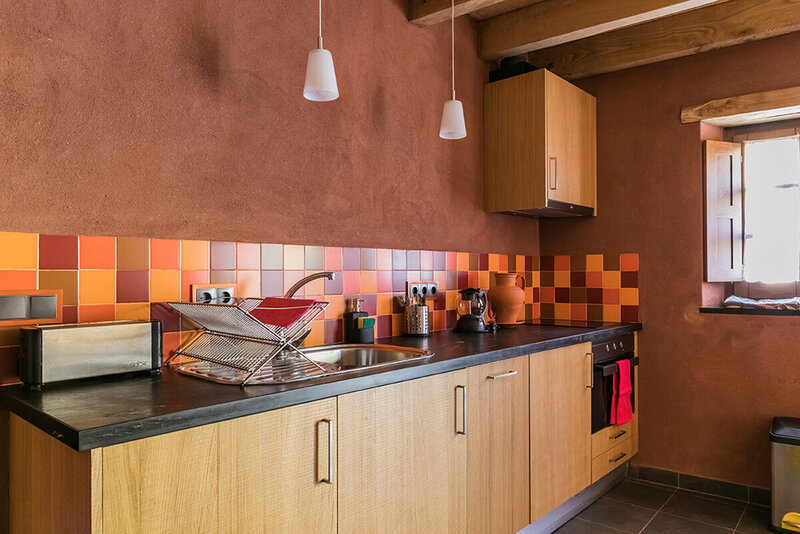 Like all the other houses in Cerdeira, the Casa das Vizinhas has been restored using ecological and regional materials and favoring the use of local contractors.All houses have central heating and offer great comfort, both in winter and summer. To guarantee that you make the most out of the village’s quietness, we have chosen not to install TVs, radio or internet access in any of the houses. In the kitchen, you will find basic staples such as salt, sugar, spices, olive oil and vinegar. The pieces created for this house by Kerstin Thomas, the resident artist and co-founder of Cerdeira Village, bear testimony to her unique connection to the village, it’s past, rehabilitation and future. Her interpretations of the old neighbours - great women rendered in small wood sculptures - can be found throughout the house as a tribute to the original founders. In this evocation of the past, the «neighbours» are accompanied by pieces that have been produced with old tools or ceramic vestiges found during the renovation works and by other, more abstract pieces that complete the bridge between past and present. But beware, the «neighbours» in this house are all very friendly and know how to keep a secret!